I’m now 46 years of age. I had never thought I’d had issues with my fertility until a few years ago when a work urologist friend advised me to have some tests. 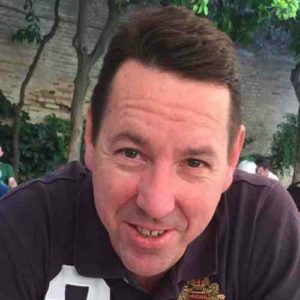 Michael Close recalls how he was given shocking news of male factor infertility in this guest blog ahead of the Bourn Hall Fertility Fayre being held on 4 November 2017 to coincide with National Fertility Awareness Week. I pretty much thought I’d lived a happy and healthy life, not too much stress (apart from being in a relationship, getting married, getting divorced), but can admit my career took some of the priority in my life until my mid 30’s. As a new-born child in the 70’s, I was born with undescended testicles, one of which descended naturally over time. The undescended one only become problematic in my early 30’s when I experienced a urinary infection. I was immediately referred to a urologist from my GP who advised that this undescended testicle should be removed as this could lead to a pre-cancerous or cancerous state – if not then, but sometime in the future. I agreed to get the undescended one removed and was given some antibiotics and then recovered shortly afterwards. The potential for undescended testicles to be precancerous was not mentioned to me or my parents back in the 70’s (maybe it was not known or looked for back then) and after the surgical removal of one of my testicles, the impact on future fertility was never discussed or mentioned by the urologist treating me, perhaps as I still had one good one left (or so I thought). I later learned that having undescended testicles is one of the leading contributory factors of male factor infertility in men – much to my frustration and anger. I am still concerned that the medical profession is not recognising this condition or testing men early for fertility issues or providing strategies to support them in later years. Although I had been in a relationship for a long time, my partner and I only started to get serious about starting for a baby in our mid to late 30’s. We tried for several years but month after month no joy. We went to see our GP to discuss how to improve our fertility chances. We were simply told to keep trying, don’t worry about it and to ensure to take folic acid, regular exercise, and a eat a balanced diet. As you can imagine with further time passing and still no joy, this started to increase anxiety about whether we were likely to become parents at all – but, without any known factors, we certainly didn’t think that was a fertility issue on either side. We had been married for about six years at this time, and as the time passed, we became even further despondent towards each other, ultimately deciding that we should get divorced. I’m now in a new relationship and certainly know a lot more than I ever did about this area – in fact, I’ve probably become an expert patient. 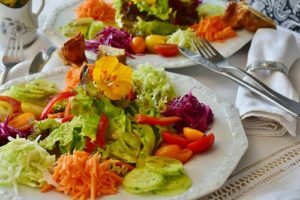 I needed specialist urology male factor fertility advice, and I’ve gone through surgical sperm retrieval directly from my remaining testicle (TESE) after getting ‘baby fit’, with regular exercise, no hot baths, cycling, phones in pockets, laptops off lap etc for 6 months, but also good recommended anti-oxidant nutrition. 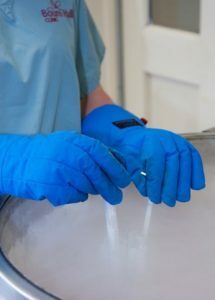 I’ve got five vials of good DNA quality sperm stored in deep freeze, but had two rounds of failed IVF/ICSI, despite having four clinically viable blastocysts. Do I regret anything? Only not having good information earlier so I could tackle some of my fertility issues earlier. It may have prevented my divorce, anxiety etc. 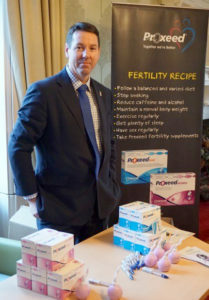 I now do medical exhibitions, conferences, talks at open evenings for couples struggling with their fertility. I also help train and educate fertility specialists in specialised medicines and nutrition to optimise conception. I’ve learnt that we are what we eat and we must eat and excrete proportionately. Our bodies are like machines that needs good input, stimulation, fuel etc to get great outputs (performance) like a formula one racing car. It’s important to know that having a child combines genetic information from both the mother and the father and it is important to ensure that the integrity/quality of this information from either partner is the absolute best it can be when trying for a baby. This means we need to look carefully at ourselves in terms on lifestyles, our stress factors, our nutrition, our exercise and ensure that we can optimise ourselves as much as possible before we take professional healthcare advice if still experiencing issues. I would always recommend the very first step for couples trying to conceive who are experiencing issues is to diagnose/test male factor infertility early with a referral to a specialist urologist who looks after male fertility. Ask the specialist how to test your sperm DNA and quality parameters and how to enhance this based on known risk factors. Time is always against us and so is our paternal age for fertility. Testing men early is not only less invasive but also less costly than female testing so it makes sense to do this first. What has it done to me? It’s made me a stronger man, a person who wants this area of medicine to be taken seriously, with good information, access to the best diagnostics available and affordable. I also want to see good quality and clinically tested treatments made available to those that need it. I now run a pharmaceutical company, LogixX Pharma Solutions, which specialises in therapies for fertility, amongst other medical therapies. This includes Proxseed, a nutritional supplement for boosting male fertility. I have surrounded myself with world leading experts in the fertility field to try and understand not only my own fertility factors but how I can help others achieve their dreams and desires to become parents. It’s not all about IVF, it’s about general health, understanding the medical conditions and the risk factors that can lead to subfertility issues. It’s about having access to the best diagnostics and treatments the world can offer to provide hope and fulfil dreams. I am delighted to have been invited to attend the Bourn Hall Fertility Fayre again this year and look forward to seeing you there. For more information about the Fertility Fayre on 4th November 2017, click here.